[S406] Source: William & Mary College Quarterly, Vol XIII, 1904-1905, page 128. Robert died.1 Robert was born in 1802. [S31] He died as an infant. Anna died. Anna was born. She married John Nash III at Lunenburg County, Virginia, on 1 November 1780. John died. John was born at Pembroke, Prince Edward County, Virginia. 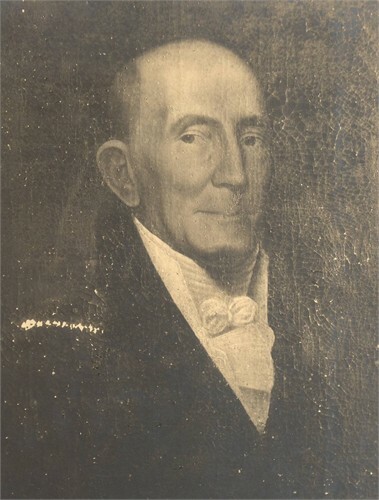 He married Anna Tabb at Lunenburg County, Virginia, on 1 November 1780. John was born at Kingston Parish, Gloucester County, Virginia.1 He married Mary Ann Allaman. John died in 1743. [S867] Source: Margie Wellwood (D e-mail address) in an e-mail dated 17 November 2001. She married John Tabb. Mary was born. Mary died in 1742. [S415] Source: The Todd Family. This is a document housed in the Virginia Historical Society in Richmond, VA , document number Mss/Sm 56Sa142-149. [S423] Source: This is an exact copy of Patterson Smiths papers loaned by Edward Dabney Septermber 15, 1892, and housed at the Virginia Historical Society, Richmond, VA, Mss 1M 6663c 4285-42-86, (stated as copied from the Old Toddsbury Bible). [S488] Source: R. Bolling Batte Papers in posession of The Library of Virginia, Richmond, Virginia, biographical Card Files, Tabb, A, Card 28 of 136 (http://198.17.62.51/cgi-bin/drawerIII/disk8/CC/BA/035/T0463). [S560] Source: R. Bolling Batte Papers in posession of The Library of Virginia, Richmond, Virginia, biographical Card Files, Tabb, K, Card 7 of 144 (http://198.17.62.51/cgi-bin/drawerIII/disk8/CC/BA/035/T0464). [S402] Source: William & Mary College Quarterly, Vol XIII, 1904-1905, page 126. [S618] Source: R. Bolling Batte Papers in posession of The Library of Virginia, Richmond, Virginia, biographical Card Files, Tabb, K., Card 84 of 144 (http://198.17.62.51/cgi-bin/drawerIII/disk8/CC/BA/035/T0464). [S637] Source: R. Bolling Batte Papers in posession of The Library of Virginia, Richmond, Virginia, biographical Card Files, Tabb, K., Card 110 of 144 (http://198.17.62.51/cgi-bin/drawerIII/disk8/CC/BA/035/T0464). She married Col. Thomas Tabb.1 Elizabeth Marianna Mayo was buried at Tabb Cemetery, Haw Branch, Amelia County, Virginia; From the research of Gibson Jefferson McConnaughey gathered from newspaper obituaries and family letters, Elizabeth Mayo Tabb, the second wife of Col. Thomas Tabb, is known to be buried in this cemetery which is located on the property of Clay Hill Plantation, not Haw Branch Plantation. This cemetery is located on private property. There are only 2 graves marked with carved stones. This grave is not marked.2 Elizabeth was born. Elizabeth died. [S611] Source: R. Bolling Batte Papers in posession of The Library of Virginia, Richmond, Virginia, biographical Card Files, Tabb, K., Card 73 of 144 (http://198.17.62.51/cgi-bin/drawerIII/disk8/CC/BA/035/T0464). [S598] Source: R. Bolling Batte Papers in posession of The Library of Virginia, Richmond, Virginia, biographical Card Files, Booth, Card 111 of 184 (http://198.17.62.51/cgi-bin/drawerIII/disk8/CC/BA/005/B0058). [S336] Source: William and Mary Quarterly, Series 1, Vol. 13, No. 3, page 98. [S678] Source: Chart provided by Rosa Thornley, 9280 N. 11600 W., Tremonton, UT 84337 (e-mail address) during December 1999. [S459] Source: E-mail from Rosa Thornley (e-mail address) dated 22 July 1999 to George E. Tabb, Jr.
Dudley was born at Virginia circa 1756. He married Lucy Tabb at Kingston Parish, Gloucester County, Virginia, on 11 November 1775.1,2 Dudley died on 24 January 1804 at Clarke County, Georgia. [S634] Source: R. Bolling Batte Papers in posession of The Library of Virginia, Richmond, Virginia, biographical Card Files, Tabb, K., Card 104 of 144 (http://198.17.62.51/cgi-bin/drawerIII/disk8/CC/BA/035/T0464). [S489] Source: R. Bolling Batte Papers in posession of The Library of Virginia, Richmond, Virginia, biographical Card Files, Tabb, A, Card 29 of 136 (http://198.17.62.51/cgi-bin/drawerIII/disk8/CC/BA/035/T0463). Elizabeth was born on 29 November 1775. She married Thomas Tabb at Northampton County, Virginia, on 27 December 1790.1 Elizabeth died on 3 December 1824 at 'Seaford', Gloucester County, Virginia, at age 49. Martha was born at "Toddsbury", Gloucester County, Virginia, on 21 October 1757.1,2,3 She married Rev. Armistead Smith on 13 January 1780.2,3,4 Martha died on 16 September 1821 at Bellvue, Gloucester County, Virginia, at age 63.2 Her body was interred after 16 September 1821 at Gloucester County, Virginia, at Ware Church. Rev. was born on 3 December 1756. He married Martha Tabb on 13 January 1780.1,2,3 Rev. died on 12 September 1817 at "Toddsbury", Gloucester County, Virginia, at age 60.1 His body was interred in September 1817 at Gloucester County, Virginia, at Ware Church. She married George Wythe Booth.1 Paulina was born at "Toddsbury", Gloucester County, Virginia, on 10 June 1766.2,3 Paulina died on 6 April 1794 at "Toddsbury", Gloucester County, Virginia, at age 27.2,3 Her body was interred in April 1794 at Gloucester County, Virginia, at Ware Church. [S610] Source: R. Bolling Batte Papers in posession of The Library of Virginia, Richmond, Virginia, biographical Card Files, Booth, Card 121 of 184 (http://198.17.62.51/cgi-bin/drawerIII/disk8/CC/BA/005/B0058). He married Paulina Tabb.1 George died. George was born. [S424] Source: This is an exact copy of Edward Dabney's copy of the Todd Bible, and housed at the Virginia Historical Society, Richmond, VA, Mss 1M 6663c 4285-42-86, (stated as copied from the Old Toddsbury Bible). Lucy was born on 30 August 1783.1 She married Thomas Todd Tabb on 15 December 1803.2 Lucy died on 14 November 1821 at Toddsbury, Gloucester County, Virginia, at age 38.3,4,1 Her body was interred after 14 November 1821 at Gloucester County, Virginia, at Ware Church. [S559] Source: R. Bolling Batte Papers in posession of The Library of Virginia, Richmond, Virginia, biographical Card Files, Tabb, K, Card 5 of 144 (http://198.17.62.51/cgi-bin/drawerIII/disk8/CC/BA/035/T0464). [S538] Source: R. Bolling Batte Papers in posession of The Library of Virginia, Richmond, Virginia, biographical Card Files, Tabb, A, Card 109 of 136 (http://198.17.62.51/cgi-bin/drawerIII/disk8/CC/BA/035/T0463). [S504] Source: R. Bolling Batte Papers in posession of The Library of Virginia, Richmond, Virginia, biographical Card Files, Tabb, A, Card 56 of 136 (http://198.17.62.51/cgi-bin/drawerIII/disk8/CC/BA/035/T0463). Evalina was born on 5 August 1799. 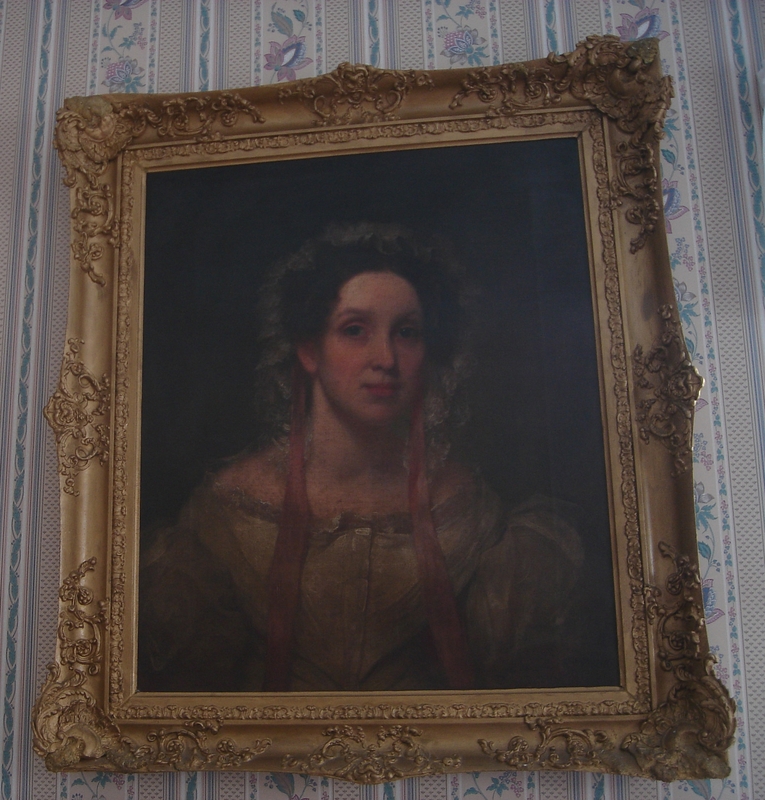 She married John Tabb at Norfolk Borough, Virginia, on 18 December 1817.1 Evalina died on 6 September 1862 at age 63. She married Thomas Todd Tabb. Elizabeth was born at Baltimore, Baltimore County, Maryland, in 1798. Elizabeth died on 1 July 1851 at Gloucester County, Virginia.1 Her body was interred after 1 July 1851 at Gloucester County, Virginia, at Ware Church. [S496] Source: R. Bolling Batte Papers in posession of The Library of Virginia, Richmond, Virginia, biographical Card Files, Tabb, A, Card 41 of 107 (http://198.17.62.51/cgi-bin/drawerIII/disk8/CC/BA/021/K0273). Philip was born on 17 October 1786.1,2 He married Emmeline Madison Allmand at Norfolk Borough, Virginia, on 15 January 1824.3 Philip died on 30 September 1851 at age 64.1,2 His body was interred after 30 September 1851 at Gloucester County, Virginia, at Ware Church. [S612] Source: R. Bolling Batte Papers in posession of The Library of Virginia, Richmond, Virginia, biographical Card Files, Tabb, K., Card 75 of 144 (http://198.17.62.51/cgi-bin/drawerIII/disk8/CC/BA/035/T0464). [S501] Source: R. Bolling Batte Papers in posession of The Library of Virginia, Richmond, Virginia, biographical Card Files, Tabb, A, Card 51 of 136 (http://198.17.62.51/cgi-bin/drawerIII/disk8/CC/BA/035/T0463). Emmeline was born in 1805.1 She married Philip Edward Tabb at Norfolk Borough, Virginia, on 15 January 1824.1 Emmeline died on 4 April 1838.1 Her body was interred in April 1838 at Gloucester County, Virginia, at Ware Church.